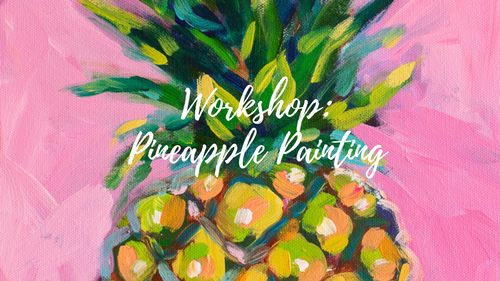 Unleash your creativity, invite your friends, and enjoy step-by-step instruction with local artist, Rachel Christopoulos to create your very own colorful pineapple painting on canvas! Limited spots available! All supplies provided.